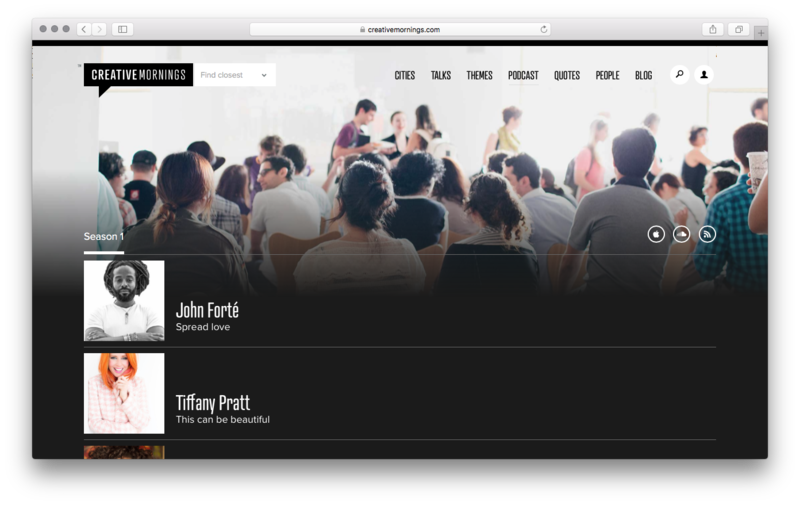 CreativeMornings, a global event series for the creative community. 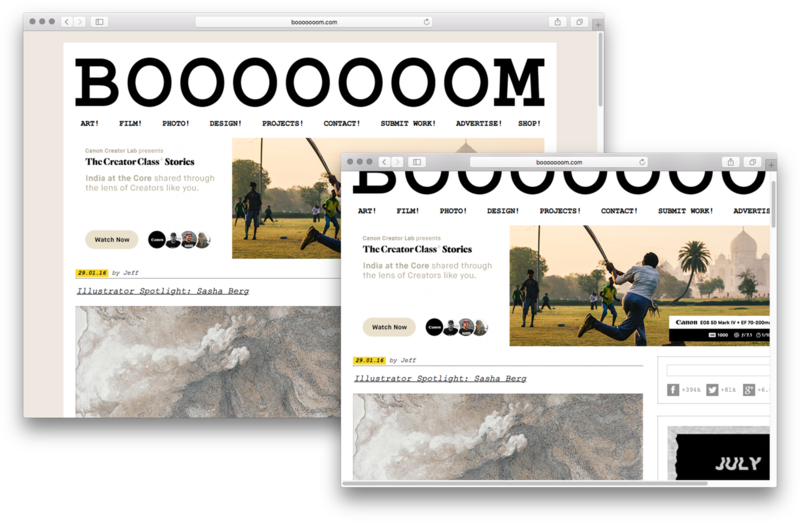 Booooooom.com, one of the largest art blogs on the internet. 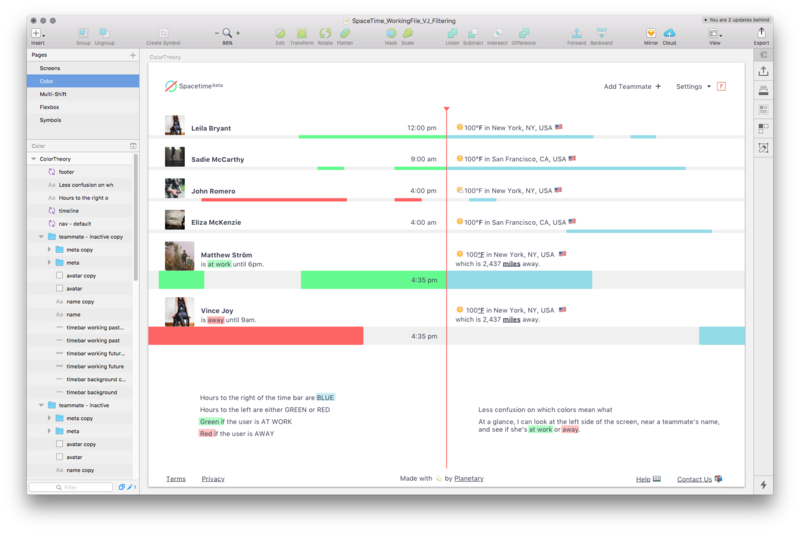 Spacetime, a Slack app for remote teams. 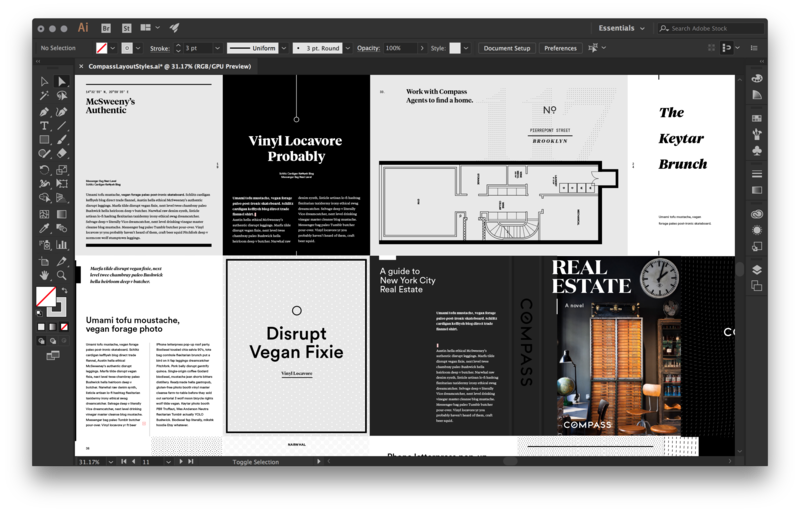 Compass, a real estate startup whose mission is to help everyone find their place in the world. 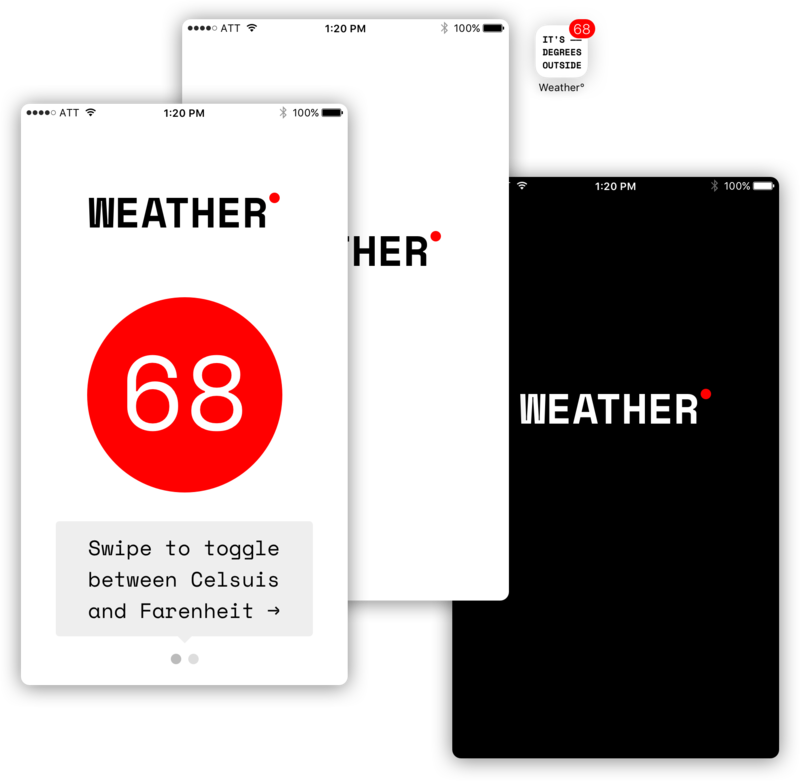 Weather°, an iPhone app that displays the current temperature on your homescreen. 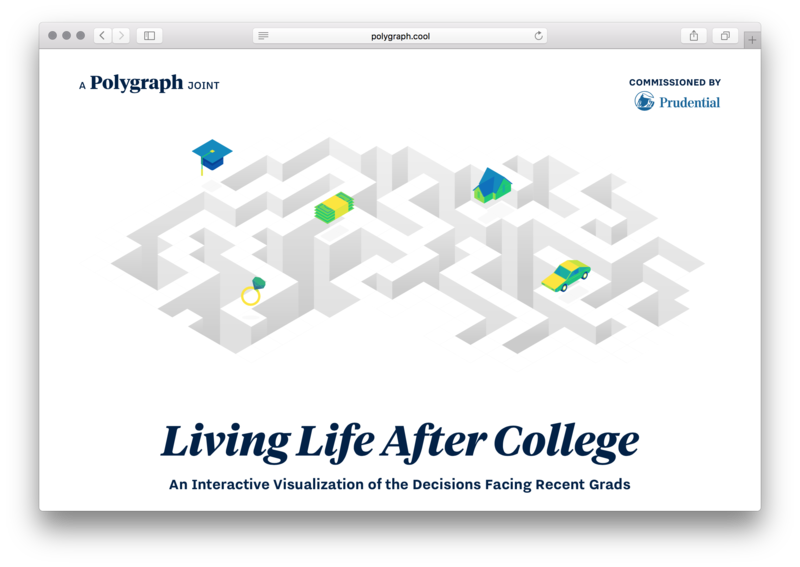 Life After College, a data visualization project for Polygraph.cool.